Contrary to popular belief blogging is not dead. As long as there are search engines, blogs are still needed. That’s why today, I am going to share with you some easy tips on how to start a fashion blog. I’ve been a fashion blogger since 2009 and it is my full time job. When I started blogging back in 2009, many people didn’t know how long bloggers would last. People thought it was a fad and they definitely didn’t think it could turn into a career. May will be my 10th anniversary as a blogger. August will be my 4 year anniversary as a full time blogger. Let me just say that I am so thankful and grateful to be able to live out this dream. Now that I am living my dream. I want to help you live yours. This article is part of my new #DroppingJewels series. A series where I share my personal experience and expertise in blogging as a business. When I started blogging back in 2009, my goal was for it to become my full time job. I’m so happy I started back then and now am able to live out one of my dreams. I wanted the first post in #DroppingJewels to be a motivator. There are so many people who have been wanting to start a fashion blog and just don’t know how. Today, I’m sharing my tips. Before I start sharing my tips on how to start a fashion blog, let me briefly tell you why I wanted to become a fashion blogger. I have always been in love with fashion. Even when fashion didn’t love my plus size body back. For years magazines and television only catered to non plus size women. When it came to fashion magazines plus size women were barely featured and plus size clothing was rarely included. I wanted to create a website that served as a resource for plus size women. A place where plus size women could find out where to shop for clothing in their size. How to style looks that flattered their bodies. And to see other plus size women who resembled them. 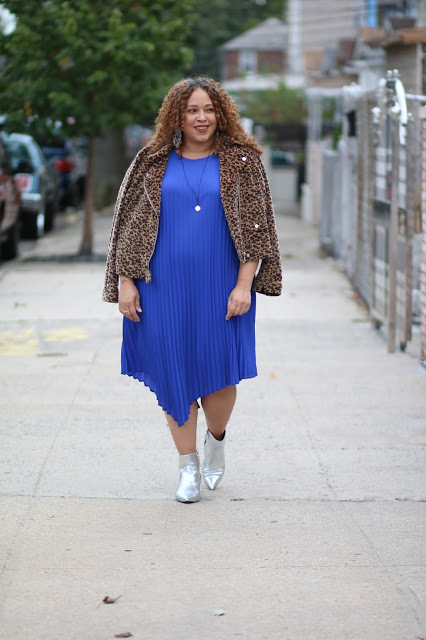 Essentially, my fashion blog served as a digital magazine for plus size women. Since starting I have been able to quit my corporate job and become a full time blogger and entrepreneur. There are quite a few different styles of fashion bloggers. There’s the personal style blogger where you feature your own outfits. Then there’s the celebrity style blogger where you feature different celebrity looks and share how to get them. You could be a street style blogger where you feature other people’s looks. Or you can do it all and serve as a fashion hub. In addition to the above, there’s niche fashion bloggers. You could focus on tall, plus size, and petite fashion. There are various ways you can approach fashion blogging. Just choose one you are passionate about. 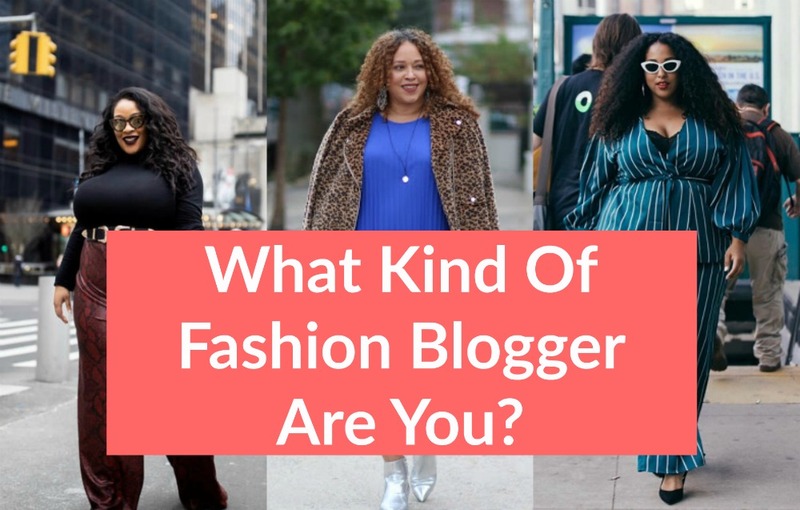 If you have or haven’t figured out what type of fashion blogger you want to be, it is a good idea to research other fashion blogs. Doing your research will help you to figure out the direction you want to take your blog. In addition, you’ll be able to identify some of the good things other fashion bloggers are doing. Once you’ve figured out what type of fashion blogger you want to be, come up with a name. When I came up with Stylish Curves, I wanted a name that was easy to remember and pronounce. A name that reflected the content I was creating. I also wanted a name that I could brand products with in the future. It can be a bit frustrating trying to find the right name. I found that writing down a few name ideas and playing around with words can be helpful. Once you come up with a name, you should double and triple check that no one else has it. I know a few people who had to change their blog names because it was being used already for another business. You can always do a google search or check with the Federal Trademark and Copyright website to make sure your name is not trademarked by someone else. Sometimes you may come up with a name and no longer like it. Don’t fret. You can always change it later. There are plenty of successful fashion bloggers who’ve changed their name. 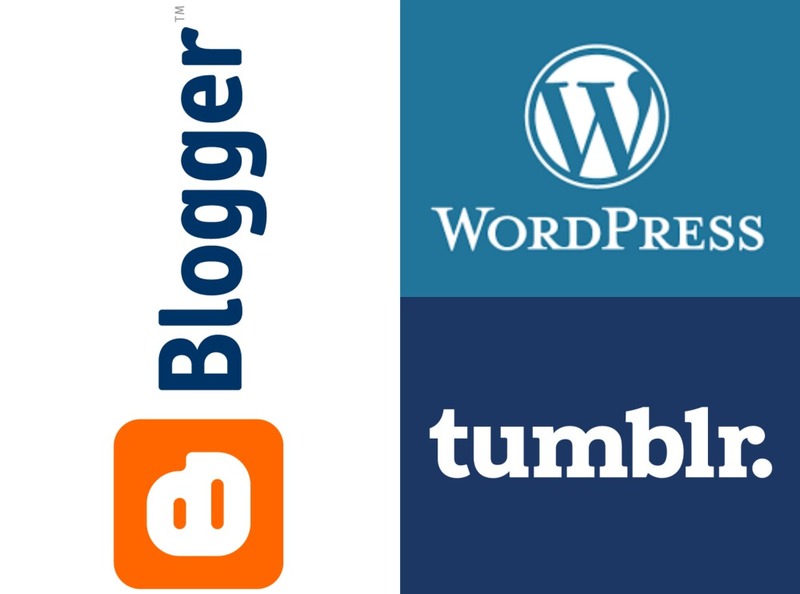 There are a few blog platforms you can use to create your blog. These are the most common. WordPress, Blogger, and Tumblr. I started out on Blogspot. I found it to be much easier to navigate. Once I got comfortable and wanted to do more with my blog, I switched over to Worpress and have been there ever since. WordPress, Blogger, and Tumblr all have free templates for you to build your blog. If you’re tech savvy or know someone who is, they can design a layout for you. However, if that is a challenging area for you then use the free templates first. As your blog grows and you have money to invest in it, you can hire a web designer. Blogger, WordPress, Tumblr, and Wix.com offer free hosting. However, free hosting limits the amount of pictures you can upload and your domain name (your blogs URL) will have to include the platform in its URL. For example. If you use Blogger free hosting, your domain name will be http://www.blank.blogspot.com. This is why I suggest self-hosting. If you decide to self host, you own your blogs domain. One of the best self hosting sites is WordPress and GoDaddy. I was self hosting through WordPress first and about 3 years ago switched to GoDaddy. You’ll have to pay but I PROMISE its worth it. 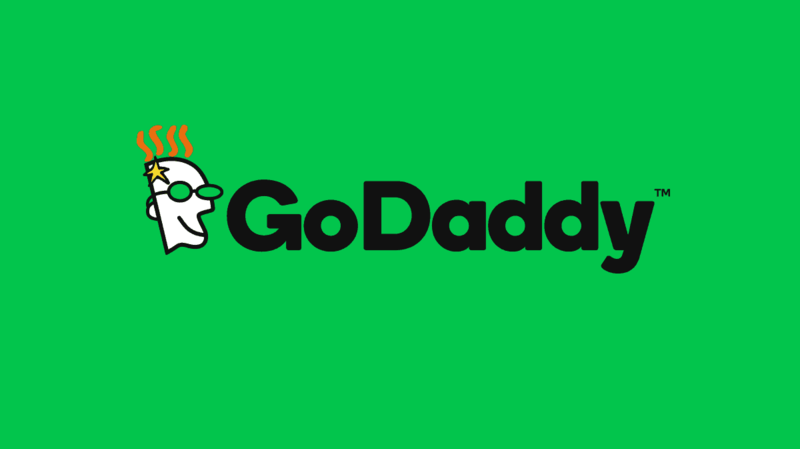 You can purchase your domain name (yourblog.com) from GoDaddy. It’s what I know. However, feel free to research other web hosting sites. One of the main reasons you want to buy your domain name is because it looks more professional. Also, it prevents someone else from buying it and trying to sell it to you later. Trust me, it happens. It even happened to me. I’ll tell you about in another post. This to me is the fun part. Look at some of your favorite websites and get inspiration. Design your blog in a way that its easy to navigate and its easy to read. Make sure you include an about you page and a contact page. You can use the free templates on Blogger, Wix, Tumblr, and WordPress or you can hire a web designer. Don’t clutter your blog. Keep it simple and add things as you go. 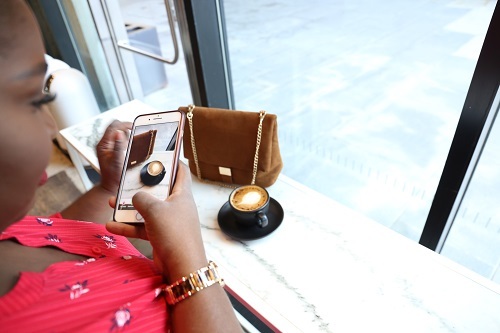 With fashion blogs, the most important thing to focus on next to great content is high quality photos. As you get comfortable with your blog you can see how to add different widgets. If you can’t afford a web designer, I suggest starting with the free templates first. Learn how to use the free templates and graduate from there. When you’re ready to get a web designer, please do your research. Here’s a tip: If you go to your favorite blog, scroll to the bottom of the page, and checkout who designed their blog. Contact the web designer and get a quote. Now that I’ve walked you through the logistics of how to start a fashion blog, let’s get to the meat and potatoes of how you can create a successful fashion blog. Content is everything. Your content is what will set you apart from other fashion bloggers. In the beginning, I mentioned you should decide on what style of fashion blogger you want to be. The reason that is important to do is because it will help you figure out the type of content you want to produce. Back in 2009 personal style bloggers would just post their photo and say where they got their pieces from. That worked back then but not so much now. People like a good story behind what you’re wearing. They want to know why you chose to wear that. Also, they want to know how it made you feel when you put a certain piece on. When it comes to fashion blogging, you need to be creative. Again, that is what’s going to set you apart. Make sure you’re taking eye catching photos. You can take photos with your phone, a point and shoot, or a DSLR. Just make sure it grabs people’s attention. If you choose to write commentary on celebrity style, try to be witty with your words. Keep the readers attention. If you’re giving style tips, you could showcase yourself or someone else actually trying the tips. Just be creative. Your content is what’s going to get you noticed, build your readership, and keep your readers engaged. Remember in the beginning, I told you my brief story about why I started a blog. What you should get from that story is that I started a blog with a purpose. I wanted to fill a void in the fashion blogging world. Back in 2009 there were very few blogs that served as a shopping resource for plus size women. 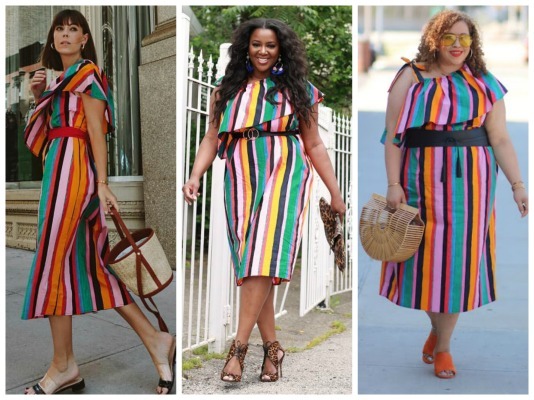 Most plus size bloggers were personal style bloggers. 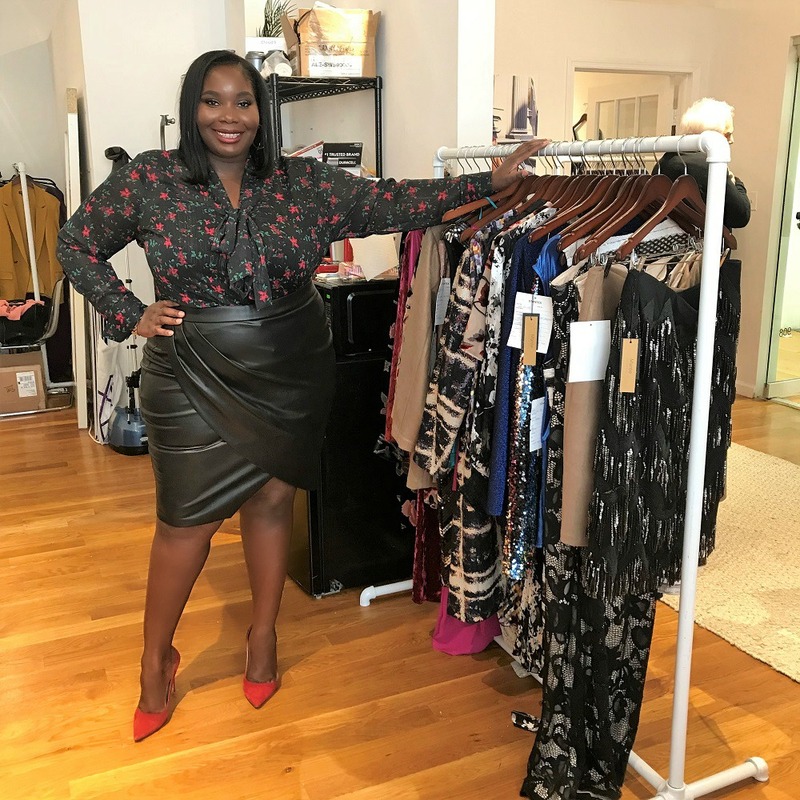 I entered the realm giving style tips, shopping tips, and showcasing plus size celebrity style. 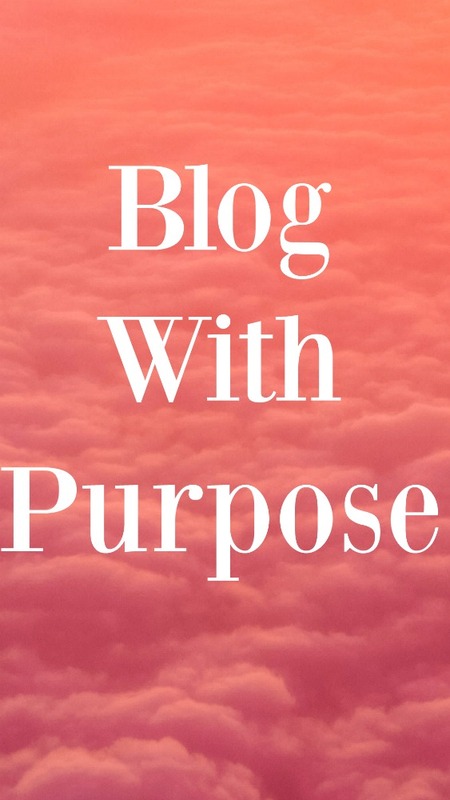 I blogged with a purpose. I wanted to help other plus size women look and feel their best. While you are in the process of starting your blog, think about who you want to serve or help. Even if you’re using your blog as a personal creative outlet, you should still create content with a purpose. There’s one thing I wish someone would’ve told me after starting my blog. I wish they told me about SEO. Search Engine Optimization. I didn’t really learn about SEO until after my first year of blogging. Also, I really didn’t put it into practice until after my second year of blogging. Using SEO will help make your blog more visible in Google searches. You want to create blog posts using terms that people search for. This is especially good if you’re going to be a niche fashion blogger. People search for niche terms all the time. Let’s say you want to blog about where to find clothing for petite women. You could use SEO terms like petite pants or petite maxi skirts. Create content around search terms. This way, when someone goes to search for these terms, your blog post could be the first link they see in a Google search. Sign up for Google Console to help get noticed in Google search results. Analytics are a tool for you to use to monitor the growth of your blog. Most bloggers use Google Analytics. Its a great tool to see how much traffic your site is getting. Where the traffic is coming from. You can also use it to find out where your readers are from and what percentage of your readers are men and women. With Google Analytics you can even see which blog posts are getting the most traffic. Having this kind of knowledge will help you figure out what your readers like. It’s also a good tool to set blog growth goals. With so many fashion blogs out there on the net, its easy to feel like the grass is greener on the other side. Don’t compare yourself to other bloggers. Stay true to yourself and you vision. Remember, once you build a following, people are going to be going to your blog for your unique point of view. They don’t want a carbon copy of someone else. In 2019 if you want to grow a following and stay connected with your following then you need to start an email list. This is something I wish I knew when I first started. As I stated in the beginning. You do not own your social media pages. They can be taken away at anytime. Having an email list will definitely aid you in keeping your following in the know. You can use an email list for newsletters, to sell items, and to share ideas with your following. This will ensure that you don’t lose touch with your following. If you want your fashion blog to be successful, you have to be consistent. You can’t post one day and then your next post is a month later. For any beginner blogger, I think one post a week is a great start. Some of the most successful fashion bloggers in the world post content atleast once a week on their blog. The more consistent you are, the more your following will keep coming back to your blog. Not only is consistency good for your followers but its good for the growth of your blog. The more you put up content the more you get inspired. When you’re inspired it helps you to be even more creative. You’ll want to start taking your blog to the next level. Once you get comfortable building your fashion presence. You should start thinking about expanding beyond fashion. Most fashion bloggers have transitioned their blogs into lifestyle. You’ll notice some of your fave fashion bloggers have started to incorporate travel, food, and home content on their blogs and social channels. Think of this as taking your blog to the next level. This will open up doors for more brand opportunities and allow you to show more creativity. 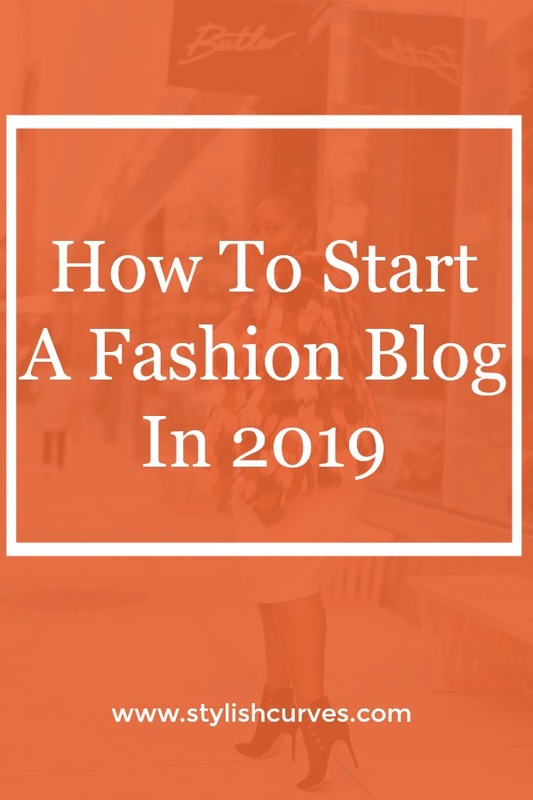 I hope you guys find these tips on how to start a fashion blog in 2019. When I first started blogging I was all over the place. Now that I’m on my 10th year, I just wanted to drop some jewels and help others get off on the right foot. I read this article and found it very interesting, thought it might be something for you. 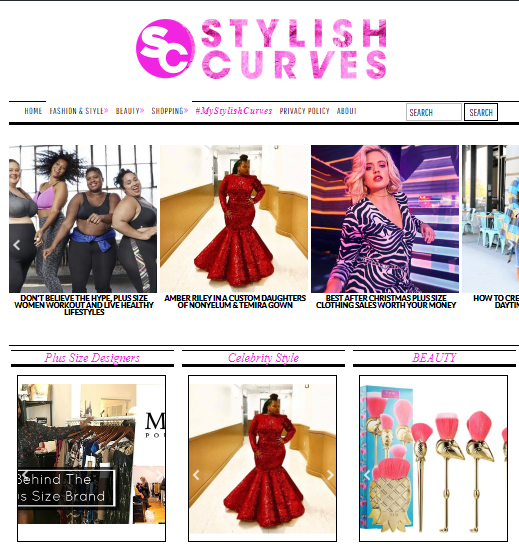 The article is called Here’s How You Can Start A Fashion Blog This Year and is located at https://stylishcurves.com/how-to-start-a-fashion-blog/. These are great tips! Thank you for sharing. I appreciate reading about your personal experience. Thank you so much Heather. I truly appreciate you checking out the tips. Thank you Alissa for those great tips. I’m an older woman but I love fashion, but I also have a disability now so I can’t wear the heels that I love anymore. I really want to do this I started with some of the things but I didn’t know how to get started 10 years ago. I’m going to step out on faith and work it out. I will keep on watching! Congratulations by the way.